When I left off, we were boating on the Yarra River. After that, we went for a stroll through the Royal Botanic Gardens, stopping to smell the roses and such. We ended up at the Shrine of Remembrance. I wouldn't have thought to go to this if we hadn't stumbled onto it. Inside, they had some exhibits of medals and gear from different conflicts, and then a very nice gentleman basically gave us our own private tour of the complex, guiding us to the Sanctuary just in time for a Service of Remembrance. After this, we took the Metro to Lygon Street, Melbourne's Little Italy. We wandered up and down the street a bit while waiting for K's excellent recommendation of Papa Gino's, where we had pizza. I split a Capricciosa with C, and K had a Campania, and I am now obsessed with potatoes on pizza. Really! Afterward, we hit a gelato shop (I can't remember what I had there, but I tried to consume as much mango anything as I could the whole trip, so that's a good guess). Anyway, after giving us a basketload of her time for a couple of days, K went off to the countryside, and C and I back to our hotel. I think we made tea with a kettle and did a little reading and probably a bit of drip-dry laundry. Australian hotels and flights are the opposite of American: the coffee is terrible granules, but the tea selection is excellent. Even with the caffeine shot, I was still really muzzy and a sleep mess, and I'm sure I was asleep before 9 p.m. But that was okay, because the next day was our first formal tour, with penguins. I read The Shadow Spinner by Susan Fletcher (Simon and Schuster - Aladdin) as part of my reading for Sirens; specifically, looking at retellings this year. 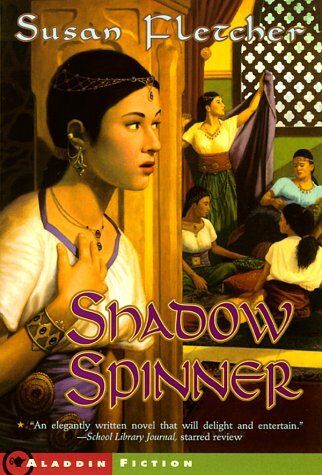 The Shadow Spinner works backward from how you might expect: rather than retelling any of the more fantastic and magical tales from One Thousand and One Nights, this is about some unmagical people supporting the efforts of Scheherazade's frame story. This isn't about djinn or ghouls, but about a lot of other things, and perhaps most significantly, about the power of story. 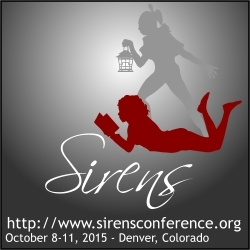 Stories, and their retellings, is a major theme woven through this book on many levels. Marjan's mother abandoned her many years ago, around the same time that the sultan started murdering his wives. There's a complicated backstory about how this happened, including some abuse, fear, and pain. She goes to the sultan's harem with an "aunt" to sell jewelry, and while there, she tells some of the harem children a story. Scheherazade asks her to join the harem, because she's desperate--almost out of stories to tell, and she needs Marjan's story to spin out at least a few more nights of life for all of them. The problem is, Marjan doesn't know the whole thing, and they're going to have to smuggle her back out of the harem to put the pieces together. 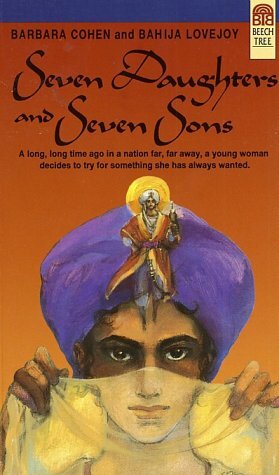 The sultan's mother is suspicious, Marjan's got a smashed foot that pains her, and they're all in danger--but only Marjan has the skills needed to keep Scheherazade safe. I liked this a lot more than I thought I would. It's middle grade, and simple, but thoughtful. 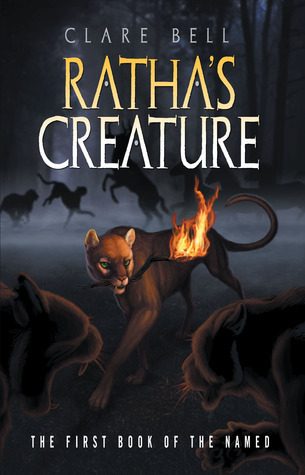 I've been meaning to review Ratha's Creature by Clare Bell (currently reissued by Imaginator Press) for nearly a year. Sheila Ruth sent me a copy, and I planned to read it last summer--and I did, partly, but you know how books sometimes get interrupted, over and over? That was this book. Ratha is a prehistoric big cat, and one who can talk. Only the Named clan of cats can do this, and they're the ones smart enough to keep their own herds of prey. Ratha starts out in the series a young, headstrong cat, and she is fascinated with fire. After a forest fire destroys her clan lands, she gets into an altercation with her clan's leader and ends up in exile. The world isn't anything like what she's been told, though, because she finds another cat--one of the Un-Named, those who only think as animals--who can talk. Who can talk to her. And her life will never be the same. Ratha's Creature is the first in a series. I think it has enough interest to hold both middle grade and young adult readers; I'd pick it for a bridge book for that in-between time, when kids are settling in to reading all fantasy or all nonfiction or whatever, because the societies of the cat clans and the idea of a cat that can talk brings something for both groups. I had a review copy provided by Imaginator Press for this post. Thanks, Sheila! Over the past few years, there have been a handful of books I pushed on everybody, rather than, yanno, trying to match my recommendations with what they liked. These books were The Hunger Games, Incarceron, Rot and Ruin, and The Girl of Fire and Thorns. Today, I am going to push you toward Code Name Verity. It's quite a bit more intense than what I would normally start buying up by the case to give away, or perhaps I feel this way because it's historical YA fiction, without the danger distance of something sf/f. Because I had an advance copy--thank you, Hyperion and Net Galley--I've been avoiding spoilers like anything. I don't want to spoil you, so let me be as brief as possible. Two girls, one Scottish and upperclass, one Jewish-Russian in heritage and much less affluent, become the very best of friends while working for the war effort in England during WWII. The first, Queenie, has everything it takes to be a spy; playacting is second nature. The second, Maddie, is a whiz with engines and airplanes, and is part of the group of pilots who ferry military personnel around the country, often at night, navigating by memory. Their friendship is tested when Maddie, filling in for another pilot, flies Queenie to Nazi-occupied France, and their plane is hit by enemy forces. Author Elizabeth Wein doesn't pull any punches here. There is torture, death, and danger. There is no shine. But it's brilliant, and structurally brilliant, nonetheless. For a more detailed review that doesn't give away the whole plot, the NY Times is a good place to start. I have a mild disagreement about the statement in that interview regarding appeal to teenagers; I look at this differently--I think it will be unsettling, and a responsibility, because there is no way to not think after reading. I do agree with that reviewer that the cover is probably a mistake, though not for the same reasons the reviewer cites. 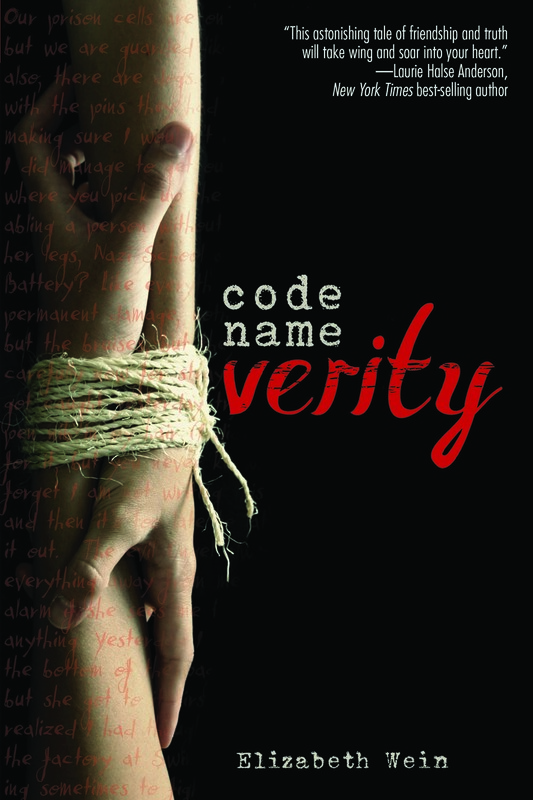 Code Name Verity is out today in the U.S. from Hyperion. Despite the title, this story--credited as a retelling of an Iraqi folktale from 1000 CE or so, though I suspect it's not so easily summarized--doesn't spend much time on all those daughters and sons. Instead, it focuses on Buran, one of seven daughters, and the apple of her father's eye. Dad is a kind man, but isn't great at business, and can't scrape together enough money to make any of his seven daughters attractive enough to make his brother amenable to marrying any of those daughters to any of the brother's seven sons. Yes, that is a convoluted sentence. To add insult, Buran's favorite cousin speaks ill of her when he rebuffs the marriage proposal. As thing spiral downward for her family, Buran gets to spend time with her father, and is introduced to things like chess, a man's game. At last, she must act. She cuts off her hair, dresses in men's clothing, and finds a place in a caravan, determined to make her fortune as a trader. It's a rough beginning to her heroic journey, but she fools people. Mostly. I read this as part of scoping out "tales retold" for Sirens (www.sirensconference.org); it didn't turn out to have a lick of anything resembling fantasy in it. But despite some misgivings--that stilted sort of fairytale retelling style at the beginning, a creepy gender reveal plot in the middle--I ended up being pleased with the story on the whole. I think it was the dad's confidence in Buran and the revenge plot.